As the leading provider of top notch moving services in London, we at Beuser Group are dedicated to looking after every single need of your relocation project, including the packing. They will bring in high quality supplies, such as durable double walled removal boxes, wrapping and labeling materials, and they will carry out the packing of your items quicker and better than you would ever be able to. While they do so, they will give you some pretty useful moving tips too. 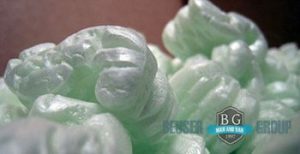 Leaving it to our experts at Beuser Group to handle the packing process for your goods will relieve you from a lot of the stress and strain that can potentially harm the way in which you experience your relocation. Get a man and van packing and moving service in London from us and make your life better. London has a population of well over 8 million people and counting. Everyone wants to live here, because this is the place where things are happening. From the financial districts of the City and Canary Wharf, to the fashionable upscale areas like Knightsbridge and Chelsea, to the famous tourist attractions like the Eye and Buckingham Palace, London is a vibrant city where motion never seizes. It is more than reasonable to assume that this is precisely the place where you would want to be.